Anyone who has checked in with this blog on any sort of regular basis over the years (1,811 posts over nearly a decade, thus far!) has probably noticed two recurring names: Adams County, and John Howard. Adams County, Ohio, is an Ohio River county lying between Cincinnati and Portsmouth. It is also one of the most biologically rich regions in the entire midwestern United States, which is why I've reported on finds from that area so often, and make so many trips there. John Howard is a friend who has lived in Adams County for decades, a superb naturalist, and few if any know the natural history of Adams County and vicinity as well as he does. Flora or fauna, it doesn't matter - John knows hidden nooks and crannies and where to find the coolest of the cool like no one else. Last year, John and his wife Tina set about constructing what would become the Ohio Star Retreat Center just outside West Union, the county seat of Adams County. The building can lodge up to a dozen or so people, and is perfectly set up for the study of natural history. And it's in close proximity to some of the richest habitats in this part of the world. Last weekend, John organized what will hopefully become the first of many Ohio Star-based natural history forays. I could not attend the entire weekend, but was able to tag along on Saturday. It was a great time full of interesting sightings. And that's without even leaving the grounds of the retreat. The first bird that I heard upon getting out of my vehicle was a blue grosbeak, then another one began singing on the other side of the property and eventually teed up on a nearby dead snag. There were about ten of us, and John had a large van so that everyone could travel together. On Saturday, we visited a few spots and were inundated with interesting finds. I'd suggest, in addition to checking in with the center's main website, following the Facebook page for the Ohio Star Retreat Center. Anyone interested in natural history and photography would be well served by attending future outings. The retreat is also an ideal place to stay for those venturing to Adams County on their own. Following are just a few of last Saturday's finds. Ah yes, one of the world's most spectacular beetles, and apparently quite the rarity in Ohio. The big tangerine-colored bruiser is the amorpha borer, Megacyllene decora, and it has only been found in a few Ohio River counties in southwest Ohio near as I know. It was high on our list to see, but we never have great expectations when hunting this beetle due to its seeming scarcity. On this day, we found several at the very first stop. A case of the nut not falling far from the tree, this amorpha borer rests atop the leaves of its host plant, false indigo, Amorpha fruticosa. Its larvae bore within the root tissues, and the adults only emerge for a brief period in late summer and fall. As is always the case, at least with the amorpha borer finds that I've been in on, we're literally on the bank of the Ohio River. This particular site, which was new to me, was a treasure trove of unusual flora and fauna. 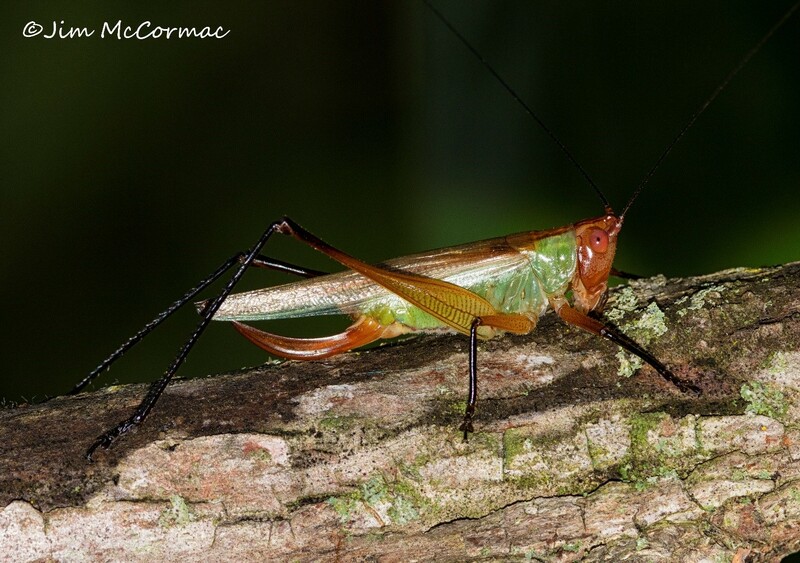 A gorgeous black-legged meadow katydid, Orchelimum nigripes, poses for the camera. 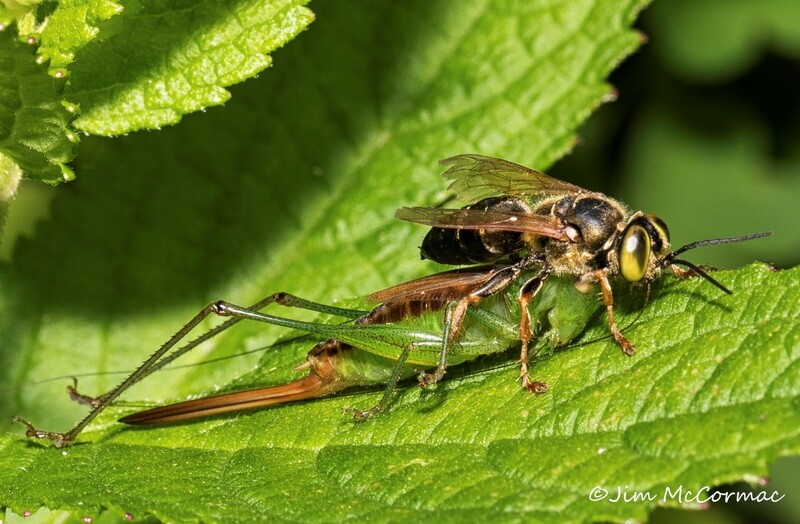 It is a female, as evidenced by the long scimitar-shaped ovipositor jutting from her posterior. The "singing insects" were much in evidence on this outing: katydids, coneheads, crickets, and at least a half-dozen species of cicadas. Not all is rosy in the life of a meadow katydid. This female short-winged meadow katydid, Conocephalus brevipennis (I believe) was captured by a predatory wasp in the genus Tachytes. The wasp delivered a sting which injected a potent neurotoxin which quickly disabled the katydid. It is lugging the victim to a ground burrow where it will be entombed along with an egg. The wasp grub then will have a fresh supply of meat upon hatching. We saw many interesting plants, which is a given down here. 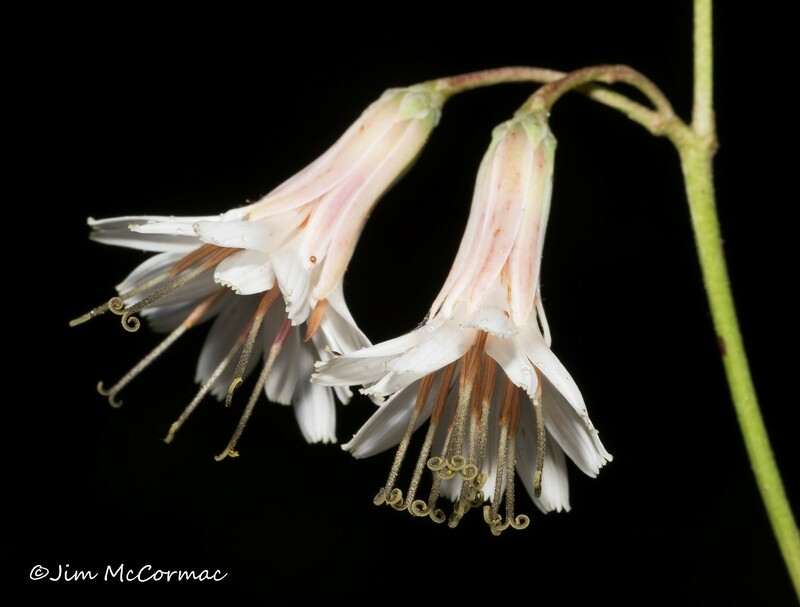 This is not a rarity but a somewhat overlooked yet beautiful member of the sunflower family (Asteraceae), white lettuce, Prenanthes alba. We are coming into peak caterpillar season, and we found them everywhere we went. 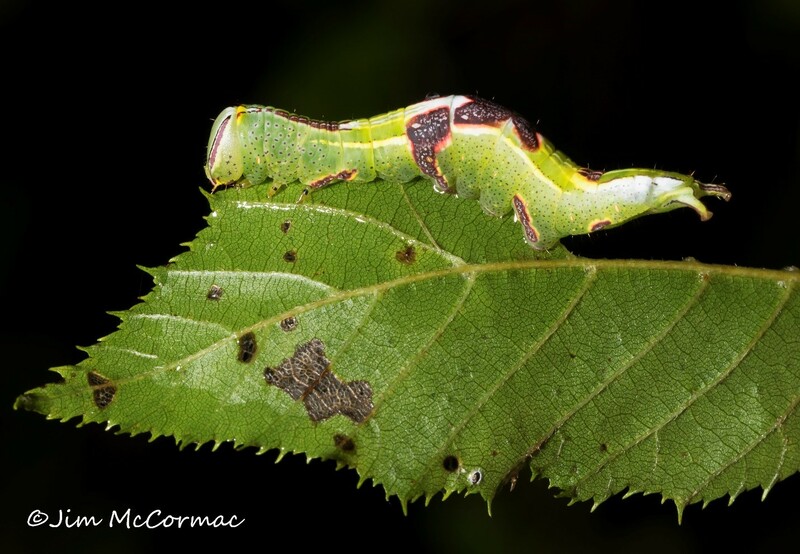 This is a saddled prominent, Heterocampa guttivitta. It illustrates the remarkable camouflage so common in the caterpillar world. The shape of the cat merges well with the leaf edge, and dappled purplish spotting mirrors patches of necrotic leaf tissue so common on fall foliage. John spotted this remarkable mimic, a flowerfly in the genus Spilomyia. 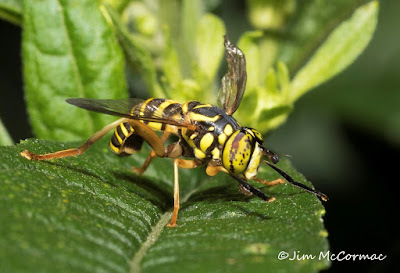 From any distance it is an incredible match for a yellow jacket, and matching the appearance of these painful stingers provides a solid reason for would-be predators to give this thing a wide berth. 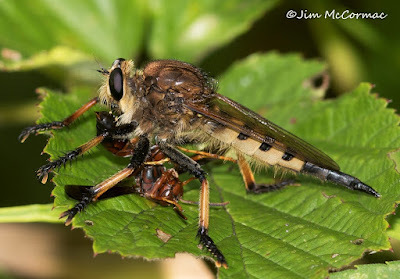 The fly even holds its black forelegs out and forward to mimic the look of wasp antennae. Here we have another saddled prominent caterpillar, but this one is not nearly as well off as the animal in the previous photo. It has been seized by a thread-waisted wasp, Ammophila nigricans, which provisions its burrows with caterpillars. It's the same old story: the wasp debilitates its victim by injecting a neurotoxin, then entombs it in a subterranean crypt. The wasp grub then eats the caterpillar. We were fascinated to see two small flies tracking the wasp's movements like a shadow. They were tiny - a few millimeters - so getting a decent shot of them on the wing was not easy. They may be a species of tachinid fly, but I'm not sure. Anyway, there is no question that the flies aimed to parasitize the wasp. 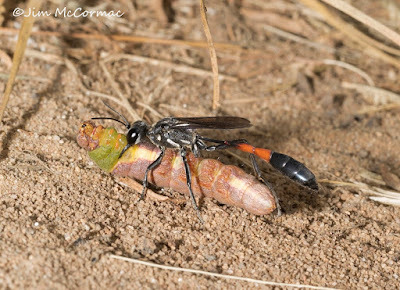 Most likely, once the wasp led them to its burrow and began dragging in the caterpillar, the flies would shoot in close and either fling eggs, or maybe even maggots, into the hole's entrance. Or they may go about it another way - see THIS AMAZING VIDEO by Mark Berman. Then the fly larvae would either feed on the wasp grub, or its caterpillar meal. As you can see, we not only find lots of notable things and get exposed to lots of interesting photo ops on these forays. we also learn lots about natural history. If you're thinking of planning an Adams County excursion, you might check on with John at the Ohio Star Retreat Center page, or its Facebook page. 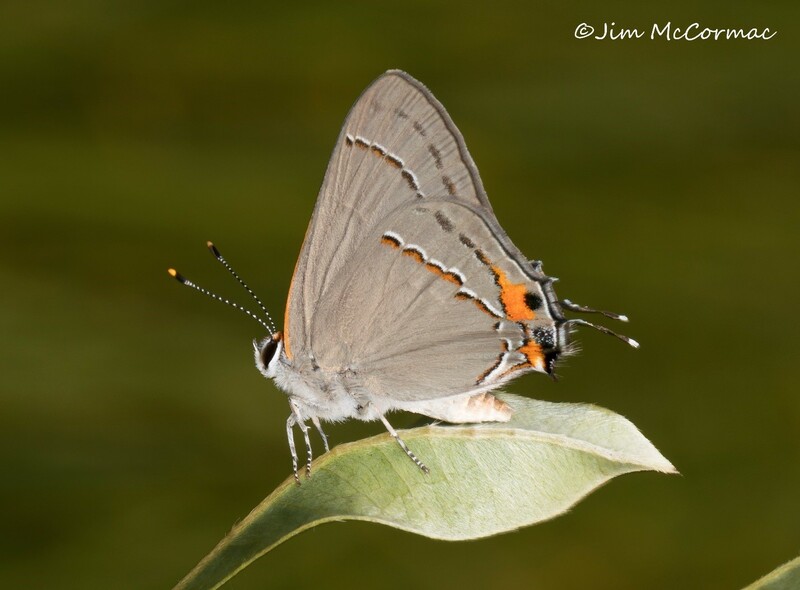 One of our showiest - and commonest - hairstreak butterflies, the gray hairstreak, Strymon melinus. These tiny butterflies are widespread throughout Ohio, and beyond, but can easily be overlooked unless you're paying attention to the little stuff. A fresh animal, such as the one above, could win a lepidopteran beauty pageant. They're sleek in a smooth coat of dove-gray, ornamented with black and white dashes and orange dots. Orange-tipped antennae are banded like a barber pole. Perhaps most interesting is the aft end. A peculiar pair of pseudo-antennae jut from the hindwings like tails. These appendages are the trademark of most, but not all, hairstreaks. Just forward of the "tails" are colored marks that often resemble eyes. The theory for these adornments, it is often said, is to create the effect of a false face. The overall effect is reinforced by the butterfly's habit of constantly rubbing its hind wings together, thus wriggling its "antennae". I buy into this premise as it's common to see hairstreaks with a v-shaped chunk snapped out of the rear wings - the work of predatory birds who were duped. The bird ends up with a bit of scaly wing; the butterfly escapes. A few years ago, I was in the field in Adams County with John Howard, and he showed me an amazing video he made of a gray hairstreak. It was taken from a rear perspective and showed well the butterfly as it moved its pseudo face. The overall effect was remarkable, and ever since I've been trying to photograph this look. It isn't easy to capture in a still photo and I've bungled many a shot. The same gray hairstreak in the previous image, seen from behind and below - the same perspective that certain would-be predators might view the butterfly. The look is utterly remarkable, at least to me. Small fringed flanges at the terminal end of the hindwings jut out to the sides, and their colored pattern makes them look eerily like eyes. The tails project overhead to create horns. 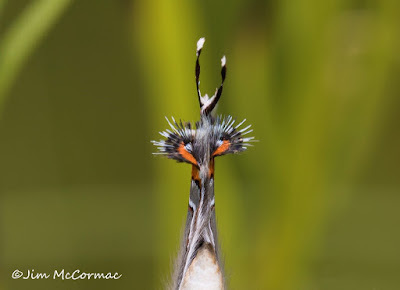 The tip of the abdomen and the space where the wings tent together make for the look of a dark frowning mouth. The overall impression is much more pronounced in life, as the movement of the butterfly's wings causes the eyes and horns to move about like an animated face. Does this miniature monster create a visual deterrent to predators? Who knows, but one must ponder why the gray hairstreak would have evolved such a fabulous architecture. 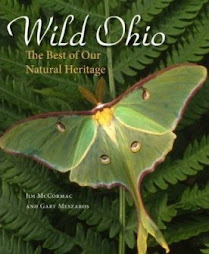 I had a meeting yesterday morning with MaLisa Spring, coordinator of the Ohio Dragonfly Survey, and entomologist Dave McShaffrey of Marietta College, coauthor of the book The Dragonflies and Damselflies of Ohio. We convened at a beautiful park just south of Lancaster known as Alley Park. There is lots of interesting habitat in the vicinity, and we hoped to get afield for a bit following our meeting and search for dragonflies. The weather put somewhat of a damper on field plans, with intermittent mild showers keeping the dragons largely under wraps. These insects are creatures of the sun, and magically disappear when the sun fades. Fortunately, there were periods of bright overcast and no rain and at such points we had some success. A prince baskettail, Epitheca princeps, rockets along the shoreline of Lake Loretta in Alley Park. Both Dave and I expended scads of pixels and collectively hundreds of shots trying to photographically nail this animal. This was my only decent shot. There was also a river cruiser in the genus Macromia making occasional passes but we couldn't get that one. These species are FAR more often seen on the wing and finding a perched one is rare. Thus, the need for wing-shooting. A record for the Ohio Dragonfly Survey requires an identifiable photograph. CLICK HERE for instructions on how to submit records, and we would love to have your reports! As an aside, here is the equipment and settings that I used to make this shot. Canon 5D IV and Canon 300mm f/4 lens, in aperture priority mode at f/4.5, ISO 320, 1/1600, in AI Servo mode with single focus point active. These are generally pretty good settings to try and bag a flying dragon. The main problem is locking focus on the rapidly darting insects. 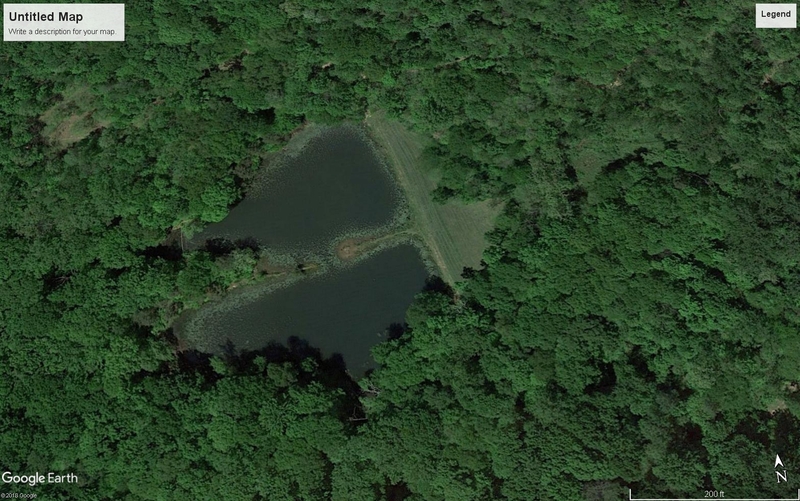 After finding several species at Lake Loretta, we moved a bit to the south, to a pond that none of us had visited before. Google Earth gives us the overview above. The pond is heavily fringed with growths of fragrant water-lily, Nymphaea odorata, and this aquatic species shows up edging the shoreline in the photo above. A male eastern pondhawk, Erythemis simplicicollis, rests on a lilypad near the beautiful flower of a fragrant pond-lily. The presence of an abundance of this floating-leaved plant put us on alert for the presence of a coveted species of damselfly. A number of species of dragonflies and damselflies, especially the latter, habitually frequent the floating leaves of water plants. This is an orange bluet, Enallagma signatum, resting atop the leaf of long-leaved pondweed, Potamogeton nodosus. Our hoped for target species can resemble this bluet, but would likely not choose the pondweed as a rest stop. Bingo! 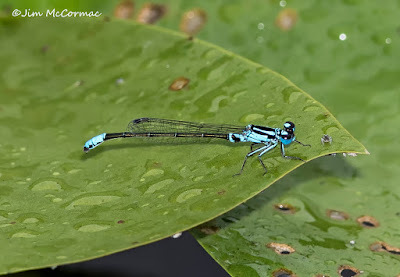 Within a minute or two of arriving at the pond, we had it - lilypad forktail, Ischnura kellicotti! This is an orange form female, and note her similarity to the orange bluet in the previous photo. 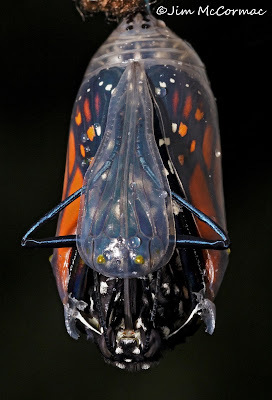 There are a number of differences upon inspection, but two obvious ones are the huge orange post-ocular spots (the big dots behind the eyes), and the highly distinctive posture of drooping the tip of the abdomen down to touch the leaf surface. It's like that abdomen tip is a counterweight, pulling her head and forelegs off the leaf. Also, the forktail is at rest on a fragrant pond-lily leaf - a plant with which it apparently shares an incredibly intimate association. We probably saw a few dozen forktails here, and I don't think any of us saw one perched on anything other than a pond-lily. 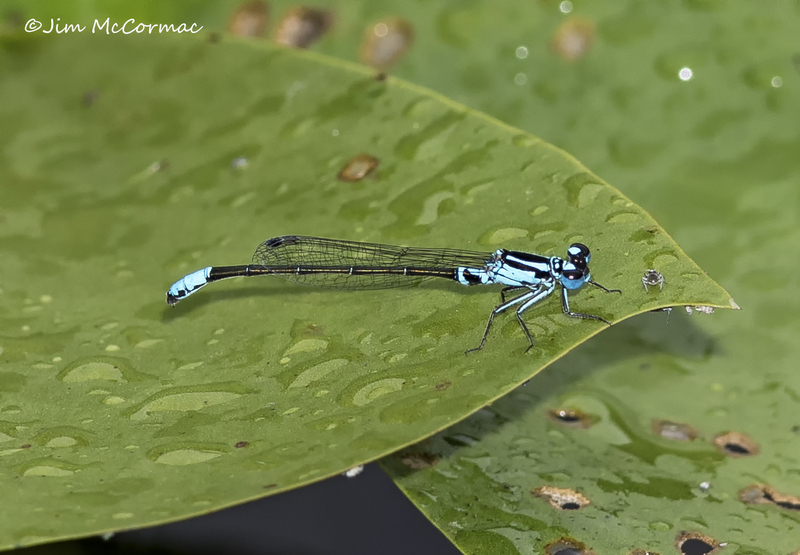 Here's an adult male lilypad forktail, looking quite different from the orange-form female in its coat of blue. Same giant post-ocular spots and drooping abdomen tip, though. 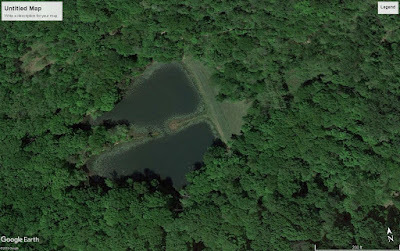 This animal was photographed at another spot a few miles way; a small lake also covered with pond-lilies. It too was loaded with forktails. Both of these sites were new populations, and represented a new Fairfield County record of this state-endangered species. When Dave McShaffrey and his coauthor Bob Glotzhober wrote the aforementioned book The Dragonflies and Damselflies of Ohio, published in 2002, they only knew of one site for lilypad forktail, Mud Lake in Williams County in the extreme northwest corner of the state. Dwight Moody found them there in 1992, and until very recently that remained the only known population. Within the last decade, other populations began to turn up and the number of new finds is picking up steam. 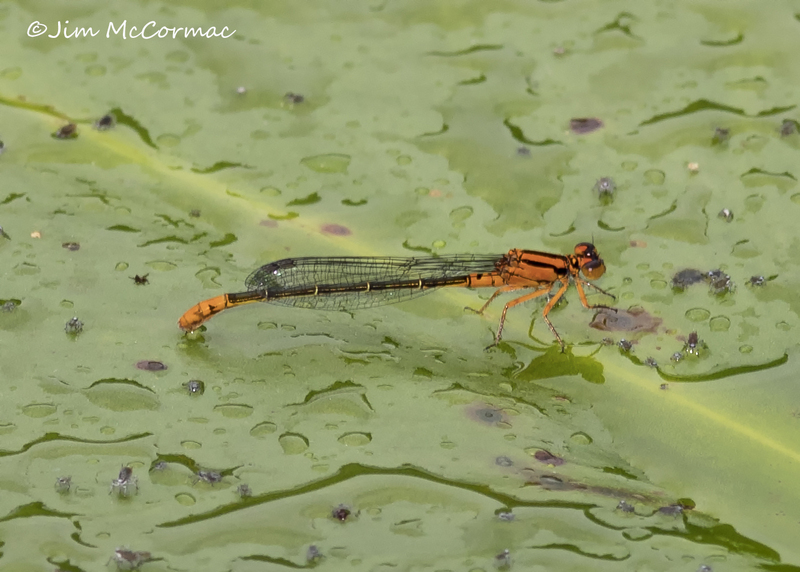 At least ten counties have been added to its Ohio distribution and lilypad forktails are certainly awaiting discovery in many other locales. The key to finding them is locating extensive stands of fragrant water-lily. Then carefully search - binoculars are very helpful! 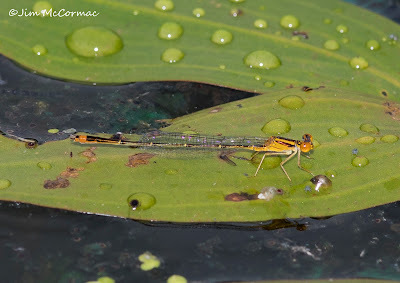 - the surfaces of the pond-lily leaves for resting forktails. 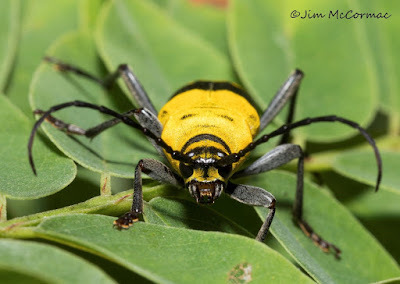 These bugs are tiny, and can easily be overlooked but once one has the search image they're pretty easy to spot. Why are lilypad forktails seemingly expanding their range? I don't know. I'm convinced that they are, though. I don't see any way that all of these new populations were overlooked for all these years, especially as some sites are well known, well studied, and heavily visited. This species is primarily southern, occurring along the Atlantic and Gulf coastal plains with scattered inland populations. Ohio is near its northern limits, at least of the inland sites. It may be that steadily rising mean averages temperatures is allowing them to push ever northward. 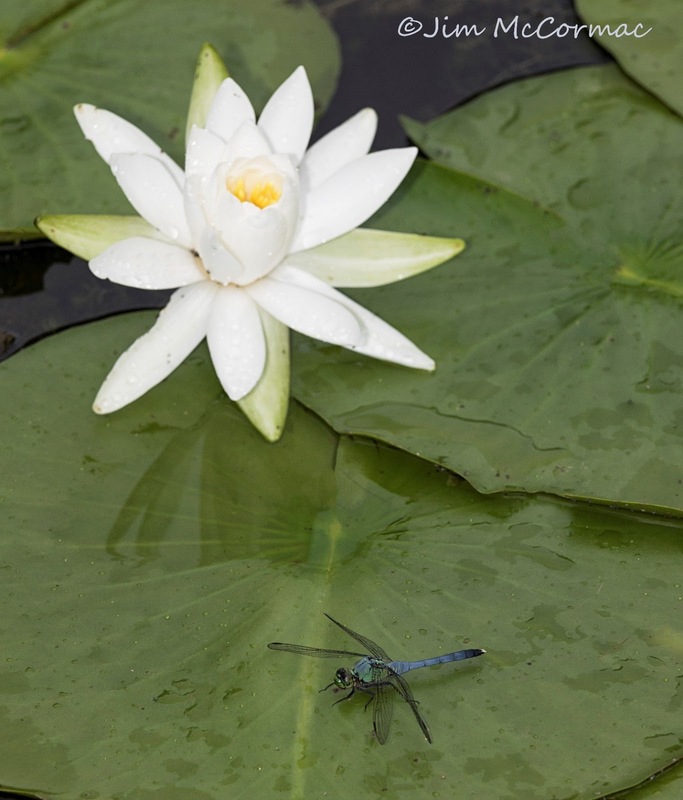 If you encounter patches of fragrant water-lily, keep a sharp eye out for these little damselflies resting atop the leaves. If you find any, please alert the Ohio Dragonfly Survey. We'd be appreciative of any and all dragon and damsel records, too. A gorgeous Halloween pennant, Celithemis eponina, tees up on a conspicuous snag. These colorful dragonflies are often easy to approach, fairly common, and irresistible photo subjects. 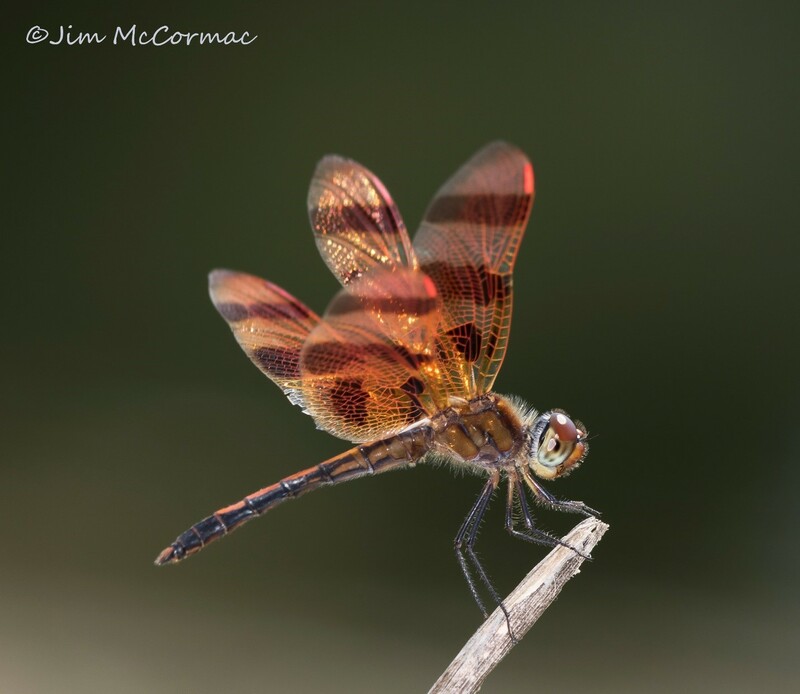 I made this image yesterday in Erie County, Ohio, while surveying for the Ohio Dragonfly Survey. All that is required for the survey is an identifiable photo, but if the subject cooperates as did this pennant, I invariably try and create the best image that I can. This photo was made with my current favorite dragonfly rig, the Canon 5D IV and Canon's amazing 300mm f/4 telephoto lens. I sandwich a 25mm extension tube between camera and lens to allow for closer focusing. A 600 speedlite provides nice fill flash. Typical camera settings, and those used for this image, are f/16, ISO 200, 1/200. For the other dragonfly photo below, I changed to f/10 but all else remained the same. BOKEH: A Japanese word meaning "blur", and when applied to photography it refers to the quality of the out of focus background of a photograph. When I made the image above, I knew I wouldn't particularly care for the bokeh, but this shot made when I was still trying to ensure I got a photo to document the insect. I'll explain why I didn't like the bokeh and how I could improve on it below. This was the situation, a stark earthen bank along a pond, liberally peppered with contrasting white rocks. The dragonfly was perched on a small broken branch jutting right out of the middle of those rocks, a few feet up from the water's edge. For my first documentary shots, I was shooting down at it, and thus the rocks and bare earth formed the backdrop as seen in the image above. Thanks to Amy Didion for snapping this photo and the next with her iPhone! After getting decent images to ensure adequate documentation, and with the dragonfly's cooperation, I went for better material. I wanted to get the dirt and rocks out of the background, and the only way to do this was to go low. It wasn't particularly comfortable to do so, as it was about 86 F when I made these shots, and the ground was like an oven. Uncomfortableness comes with the turf, though - I'm always on the ground or in weird places to get good angles on subjects. This is the change in bokeh wrought by going low. 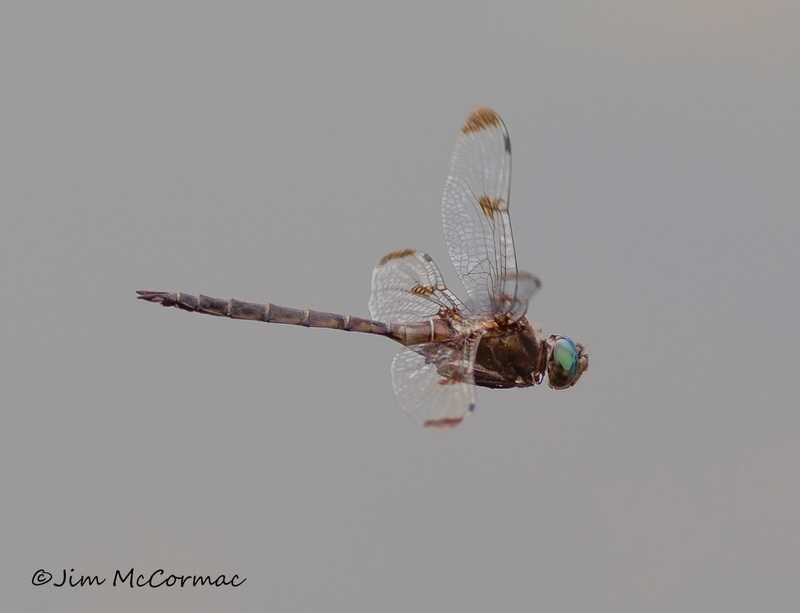 Now the distant greenery of the trees on the far side of the pond create a soft even olive-brown blur that doesn't distract from the dragonfly, and complements its colors. Scroll back up to compare with the first image. A major improvement, at least to me, and all by just changing the camera's perspective by a few feet. The beautiful stiff-leaved aster, Ionactis linariifolius, one of myriad members of the aster family that is found in Shawnee State Forest and vicinity. I have been remiss in plugging what promises to be a wonderful conference in one of the showiest regions of Ohio. 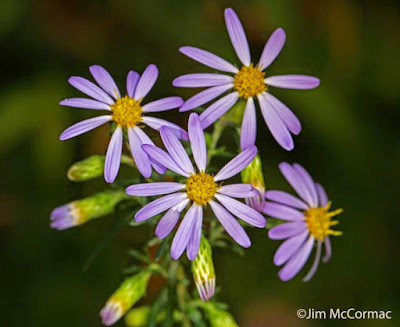 On the weekend of September 14-16, the Midwest Native Plant Society is hosting Autumn's Asters (GO HERE for details), an event geared towards the diverse and beautiful aster family. 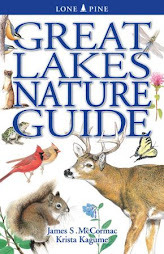 This is the 2nd largest plant family in Ohio (only eclipsed by the sedge family), and includes many familiar groups of plants such as asters, goldenrods, and sunflowers. In Shawnee State Forest, where this event takes place, the aster family IS the largest family of plants. There will be field trips to interesting locales to see interesting plants, and of course and as always, we will see lots of other subjects. Mid-September is near peak for southbound songbird migration in this area, and there should be warblers galore. Butterflies will still be going strong and we can expect to record many species. Pollinating insects will also be present in great diversity and numbers, and nocturnal forays around the lodge should produce lots of interesting caterpillars and moths. 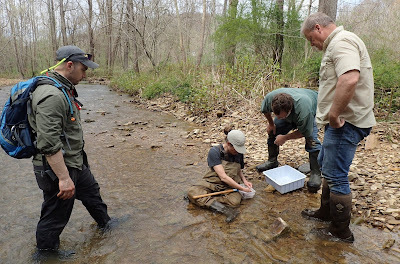 The 65,000 acres of Shawnee State Forest has long been known as a biological hotspot. This region’s floristic diversity is incredibly diverse and includes many very rare species for Ohio, some of them at their northern limits. The richest species diversity is represented by the Sunflower Family (Asteraceae). Their ranks include many conspicuous fall blooming plants such as asters, goldenrods, joe-pyes, thistles and much more. One of them, the gall-of-the-earth (Prenanthes trifoliolata) was discovered by this talk’s narrator in 1997 and remains the only known population north of the Ohio River. It is but one of many rare Shawnee Asteraceae members. This presentation will be a pictorial look at asters and their ilk, ways to identify them, and how these plants fit into a larger ecological picture. Asters are critical late summer and fall forage for native bees including many pollen-collecting specialists. Heather will explore the nutritional components of the nectar and pollen of asters and their fall-bloooming cousins the goldenrods, and demonstrate the importance of these two groups of plants for native bees as well as migratory pollinating insects such as butterflies. Heather is an award-winning author and nationally sought-after speaker spending much of her time passionately educating audiences about the fascinating world of native bees and the native plants that support them. Her first book, Pollinators of Native Plants, published in 2014, helped establish her as a knowledgeable resource on the subject of the interactions between native bees and native plants. Her latest book, Bees, published in 2017, has won five book awards. This promises to be a fun and informative event, and everyone is welcome. For complete details and registration info, CLICK HERE. 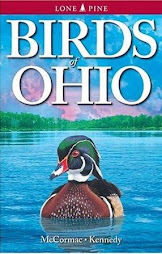 The summer of 2007 brought exciting news to Ohio’s bird watchers. 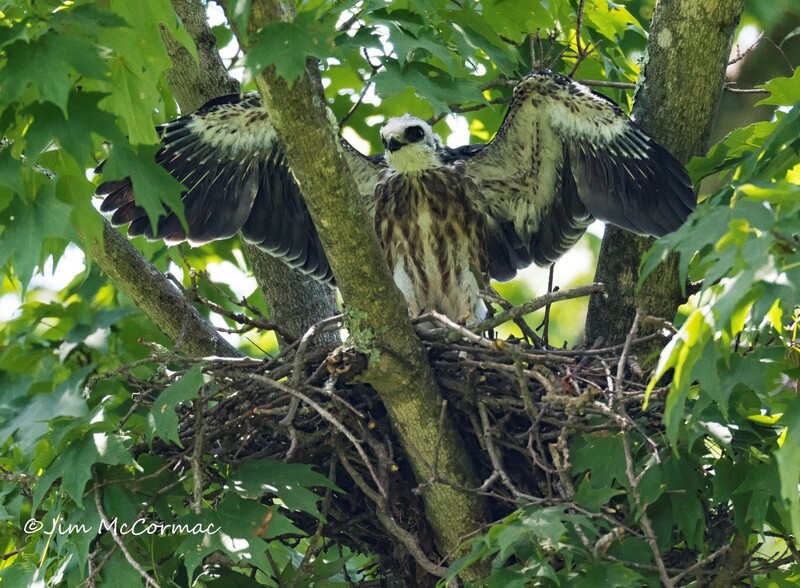 Birder Rick Perkins had discovered Mississippi kites frequenting a Hocking County golf course. He was there to play a round of golf, and scored an exceptional birdie. Mississippi kites were then considered rare vagrants to Ohio, and they didn’t usually stick around. If you weren’t there when the kite appeared, you missed it. The kites Perkins saw at the golf course did linger, and became so reliable that people could visit and expect to see the birds. As the summer went on, it became clear that the flyweight raptors had a nest nearby. Attempts to find it were unsuccessful, but in late summer a juvenile kite appeared. The begging youngster sat atop tall snags and was stuffed with cicadas and dragonflies by its parents. Our first confirmed record of a Mississippi kite dates only to 1978, when a bird was seen passing over Green Lawn Cemetery in Columbus. Records increased steadily through the years, and by the 2000s birds were being reported almost every year. As it turns out, the 2007 Hocking County kite nest was the vanguard of a small tide of kites. More nesting sites were found in Hocking County, and likely breeding reports came from Athens County. Summering birds have since appeared in southern Ohio haunts from Marietta to Portsmouth, and at least some of them must be nesting. A few years ago, Mississippi kites turned up near Chillicothe, and they’ve been back every year since. Finally, a nest was located this summer and, a few weeks ago, one chick hatched. That’s the bird in the photo above. I visited this nest July 26 and spent several hours photographing the birds. The juvenile was nearly adult-sized and active, often jumping about the nest and flapping its wings. By now, the youngster is out and free-flying. Mississippi kites are elegant raptors and excellent aeronauts. Although not much smaller than a peregrine falcon (wingspan nearly 3 feet, length more than a foot), the kite weighs only 10 ounces. The comparatively hefty falcon weighs 2½ times that. Because of their light weight, long, pointed wings and rudderlike tail, kites are extraordinary aerialists capable of embarrassing even the most skilled stunt pilot. When it spots a dragonfly or cicada far below, the bird will suddenly drop like a meteor. Seconds later, it deftly snags the bug from the air with a lunge of its sharp talons. Most Mississippi kites breed in the southern Great Plains and Gulf and south Atlantic states. They prefer older-growth bottomland forests. Scattered outposts occur to the north, but in recent years kites have been on a roll, nesting in many new northern areas. Breeders have been reported as far north as New Hampshire. Why the sudden range expansion? The answer is unclear, but might relate to forest recovery. 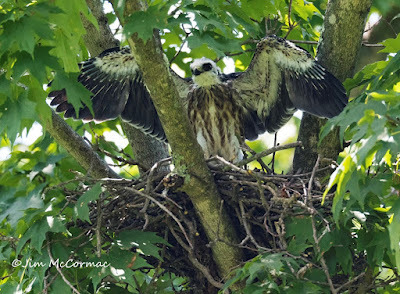 As eastern forests rebound after the extensive deforestation that occurred from the mid-1800s into the early 20th century, the kites might be reclaiming former haunts. Come fall, Mississippi kites migrate thousands of miles southward, disappearing into the Amazonian basin of South America. 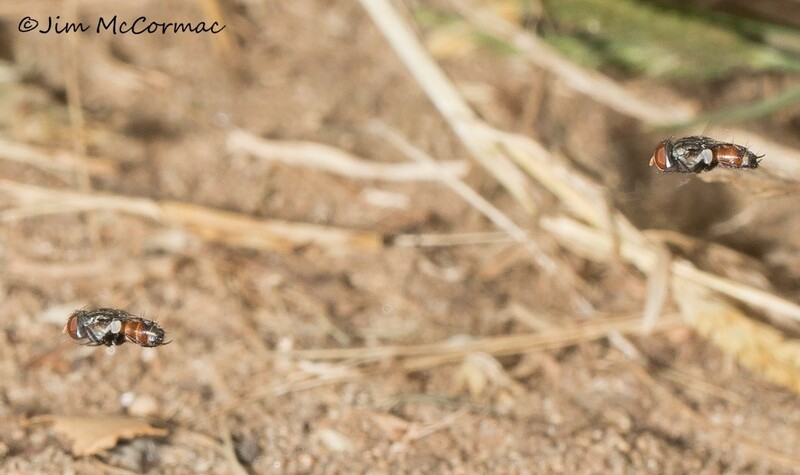 Very little is known about them on the wintering grounds. One of the world's most iconic butterflies, the monarch, Danaus plexippus. 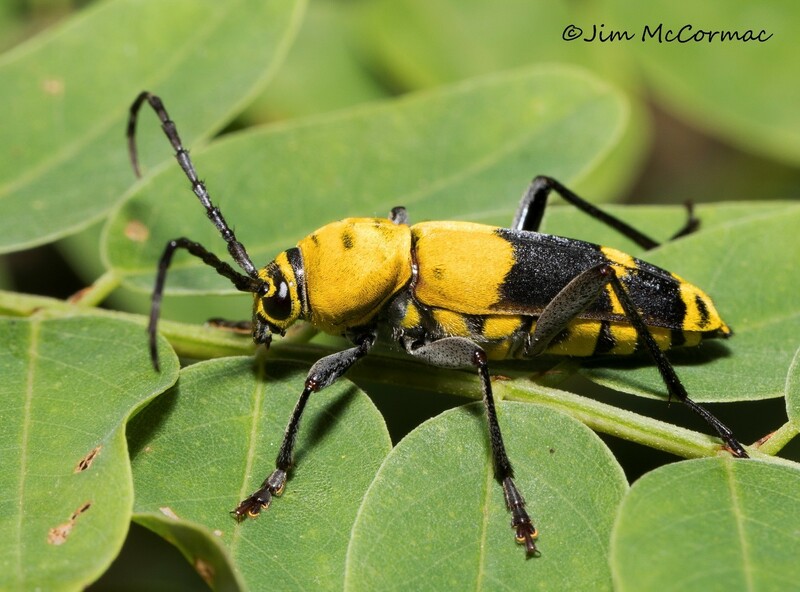 These conspicuous insects are revered by large numbers of people, and recent conservation efforts to help declining populations of the migratory eastern populations seem to be bearing fruit. 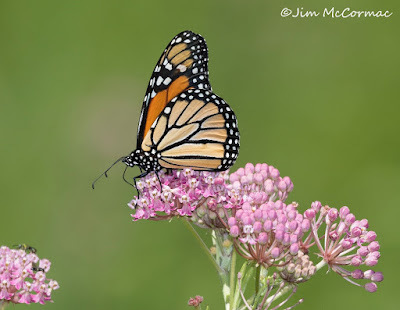 Scores of people are helping by either planting milkweed, or raising and releasing butterflies. 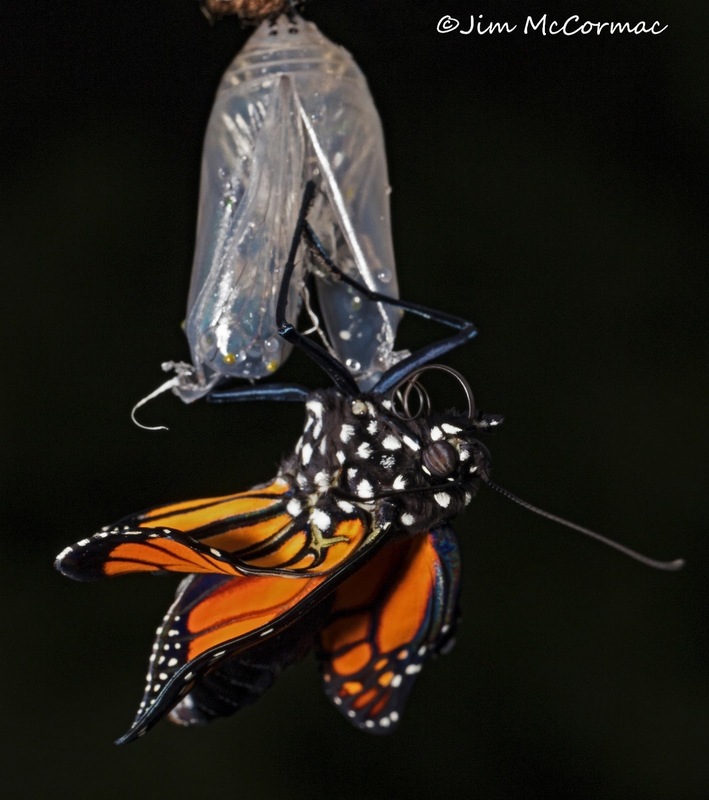 Loss of habitat and host plants is a huge factor in the monarch's decline, with increasingly environmentally-unfriendly agricultural practices probably playing the largest role. 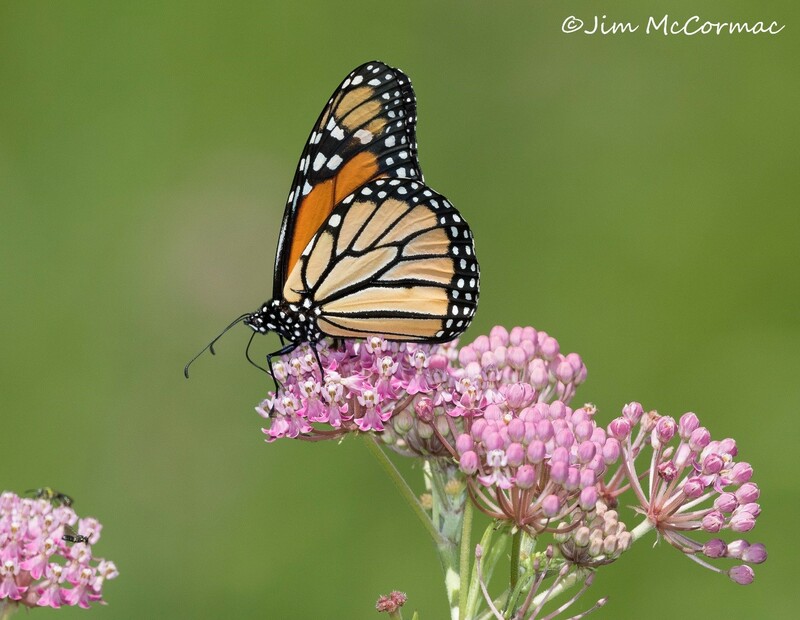 The butterfly in this photo is seeking nectar at swamp milkweed, Asclepias incarnata, which is also a favored host plant. Monarchs will lay eggs on nearly all of Ohio's 15 species in the milkweed subfamily, though. Butterflies have a four-part life cycle, and phase one of the monarch's begins with a tiny egg deposited on the underside of a host plant's leaf. I shot this egg last weekend in Greene County, Ohio. 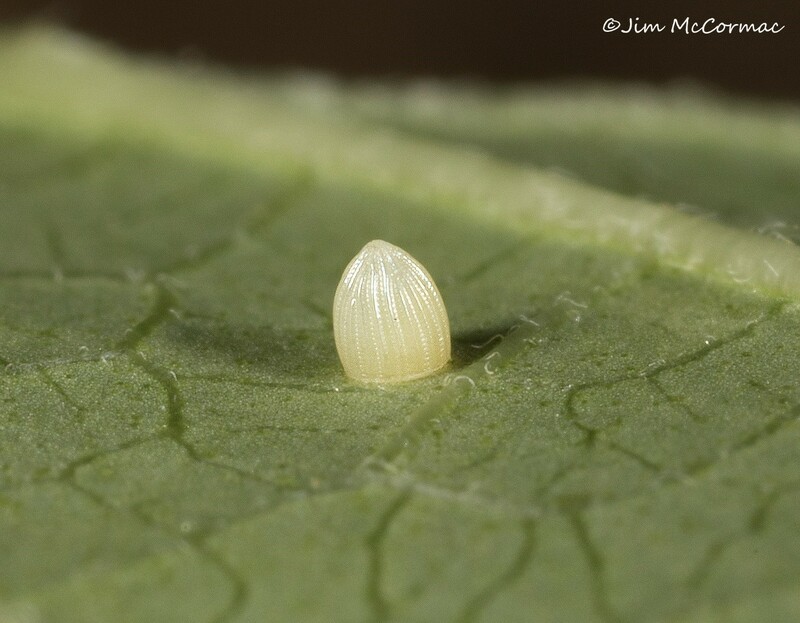 A female was ovipositing on honey vine, Cynanchum laeve, right outside the Midwest Native Plant Conference, so I briefly borrowed an egg for photo purposes. Honey vine is a native albeit somewhat weedy member of the milkweed family, and monarchs frequently use it as a host plant. This egg is hot off the presses; in about four days a tiny caterpillar will emerge. After the caterpillar eats its way to maturity (takes about two weeks) on milkweed foliage, it finds a sheltered spot to morph into a miraculous chamber of transformation, the chrysalis. Just before commencing the transformational process, the caterpillar attaches itself via a sturdy pedicel and curls into a J-shape. Few butterfly chrysali are as showy as that of the monarch. This is a very fresh chrysalis, and it looks like a jeweled and gilded piece of art. An incredible reorganization of tissues takes place within, with the caterpillar changing to a creature very dissimilar in appearance. After about ten days, the caterpillar has reassembled itself as a butterfly, and is ready to emerge from the chrysalis. This image was taken shortly before the butterfly popped free. 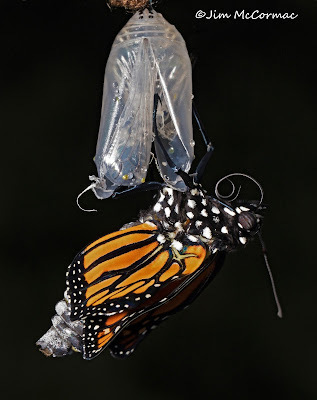 NOTE: Barb Huebner was kind enough to give me five monarch chrysali in various stages of development, so I could make photos of the emergence process. This is one of them. Barb raises scores of monarchs, all of which are released back to the wild. 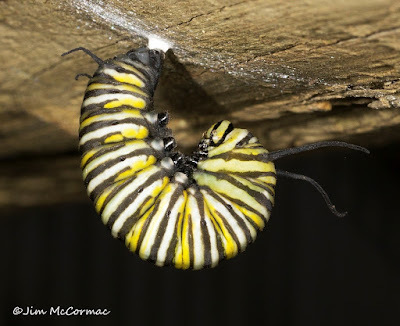 She gets the caterpillar livestock from milkweeds growing wild in her Columbus, Ohio yard. By raising caterpillars in a protected environment, survivorship soars as the caterpillars are removed from the risk of being killed by various predators, many of which are other insects. Her work and similar efforts by legions of others is almost certainly bolstering monarch populations. 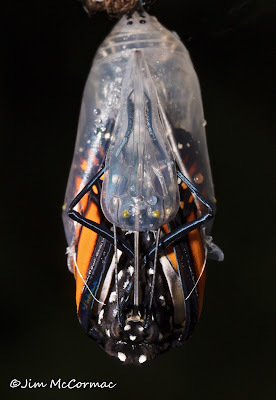 If you want to catch the entire eclosion (emergence from the chrysalis) process, you've got to pay nonstop attention once the chrysalis looks like it does in the previous photo. 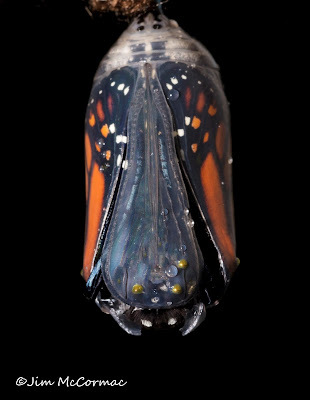 Here, two fissures appear in the chrysalis, forming a V-shape. Now we can clearly see the teardrop-shaped escape hatch with its two gold dots at the base being pushing outward by the emerging butterfly. 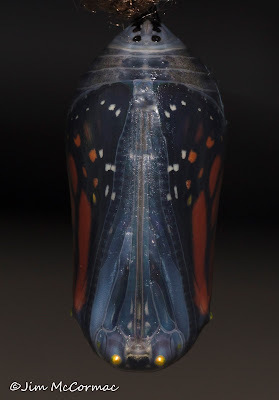 The butterfly's head is at the bottom, and you can see its proboscis, or tongue, extending upwards into the chrysalis. Things happen very fast at this point, and I was popping off shots every few seconds. A few seconds later and the butterfly has squeezed considerably more of its bulk from the case. Two think whitish cords can be seen emerging from either side, below its head. These are the trachea - hollow tubes that conduct oxygen into the pupal case. 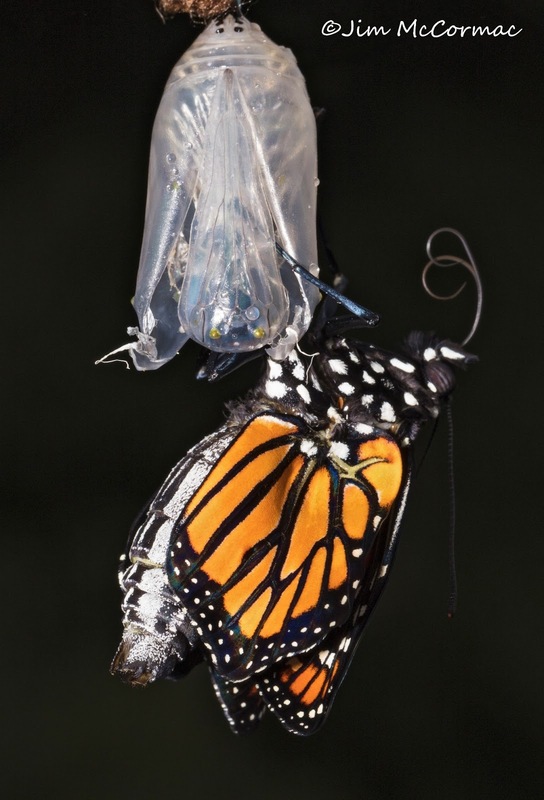 They are no longer needed once the butterfly has freed itself of the confines of the chrysalis. 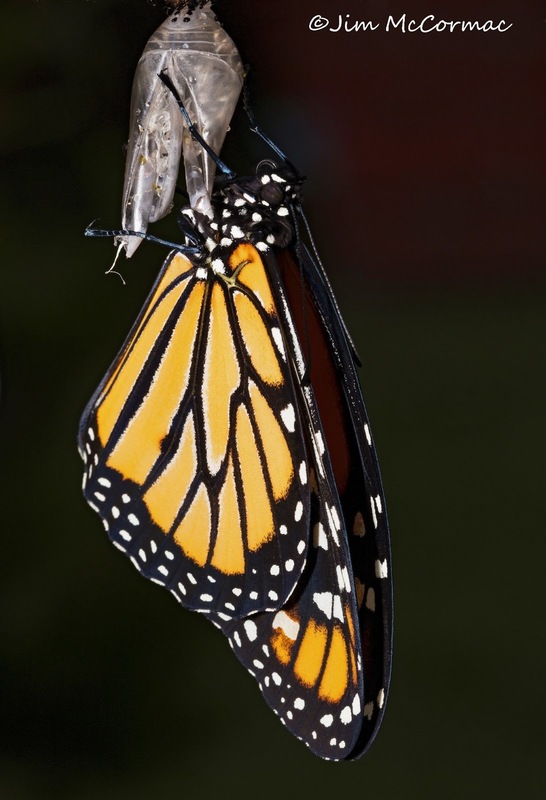 The butterfly's wet and folded wings begin to emerge, as do the legs and its entire body. Its head is facing right at the camera, and its abdomen is horizontal and facing away from the camera. 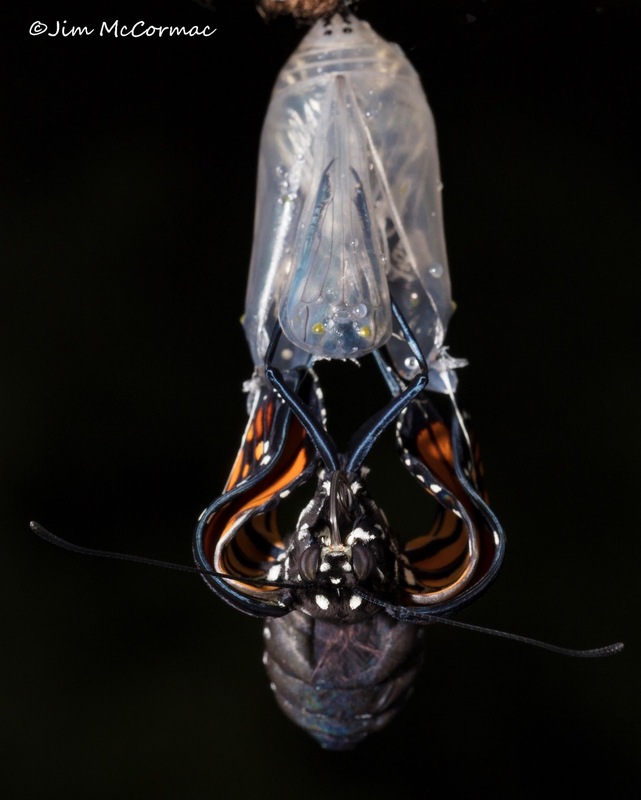 Just a few more seconds and the butterfly has dropped free and is hanging upside down on the spent chrysalis. It is rapidly pumping liquid from its swollen abdomen into the wings, causing them to expand and eventually harden. We can see the tip of massive abdomen, which immediately post-emergence is greatly swollen. Once the butterfly has thoroughly filled its wing veins with liquid from the abdomen, it will purge excess abdominal fluid. Several globs of greenish liquid will be expelled, after which the abdomen will be much more slender. 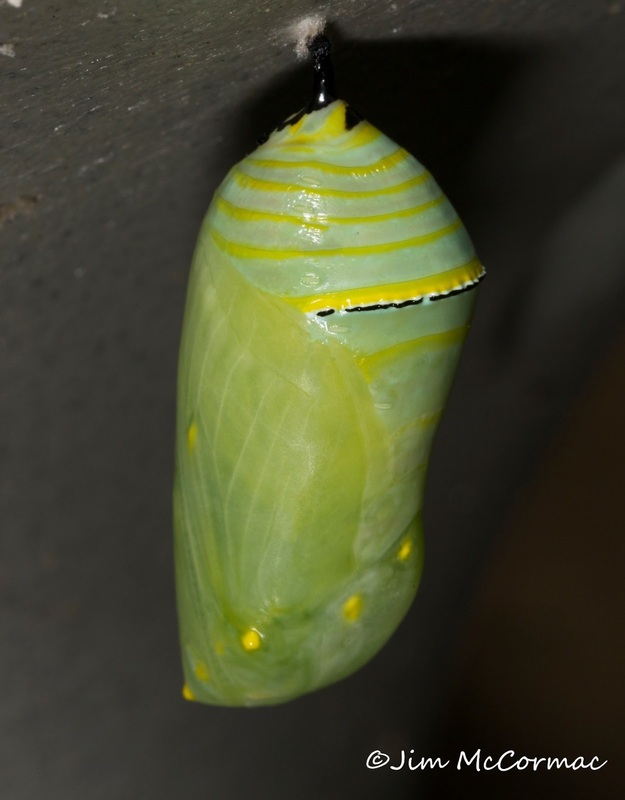 The butterfly quickly commences to climb up the side of the former chrysalis. Its already powerful legs allow it to cling with great tenacity. At this point the butterfly is damp, soft, utterly unprepared for flight, and quite vulnerable. 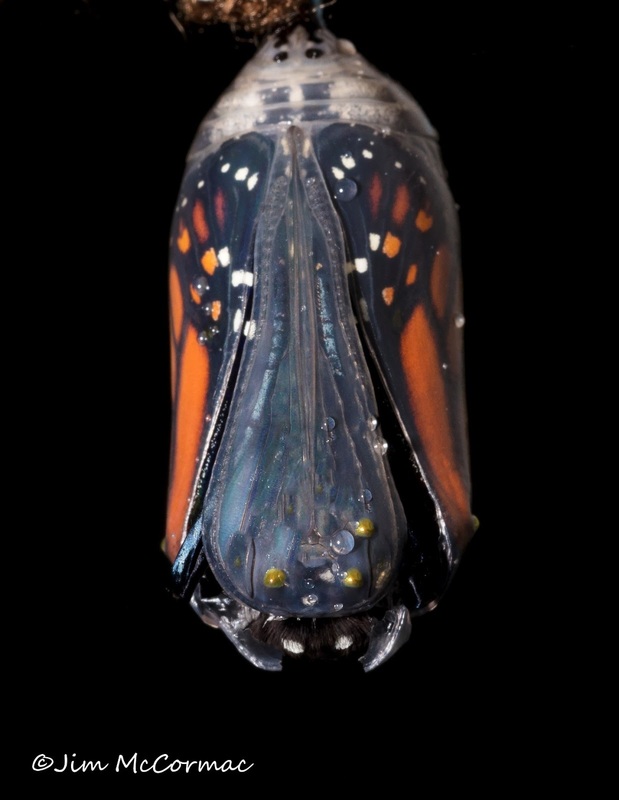 After a half-hour or so from the time of emergence, our monarch looks like this. It still isn't ready for its inaugural flight, but it will be within a few hours. This one was safely liberated and will hopefully make the fantastic several thousand mile flight to the oyamel fir forests of central Mexico. There it will join millions of other overwintering butterflies, and they will commence the annual invasion of the U.S. and Canada early the following spring.